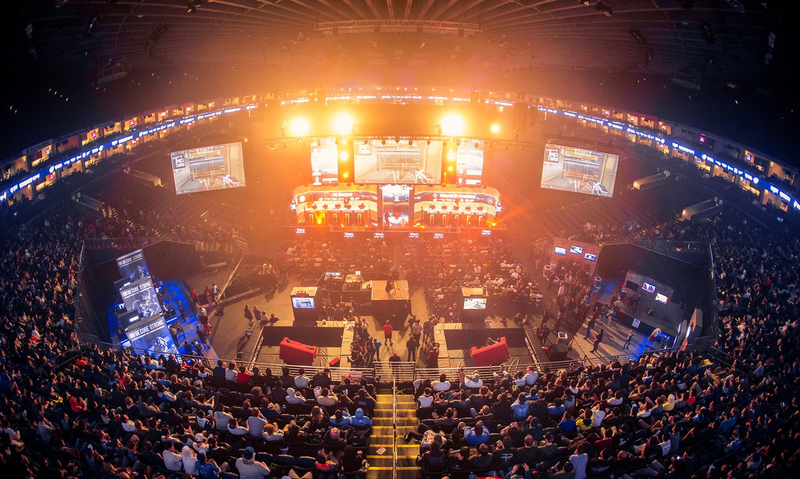 2017's breakout battle royale game comes to the Oracle Arena in Oakland for its first Intel Extreme Masters tournament. Even if PUBG is all some people ever seem to talk about though it’s not the only thing going on this weekend. The Rainbow Six Pro League will have its third season championship while top Dota 2 teams compete in one of the game’s strangest new modes. EA might have taken microtransactions out of Battlefront II for the time being, but esport organizer MoonduckTV has decided to make an entire Dota tournament out of them. The Oakland edition of Intel Extreme Masters is this weekend and with it comes the PUBG Invitational. 20 teams of four people each will be competing over a prize pool of $200,000. Squad matches start at 4:00PM EST today and will go late into the night. The matches then conclude at 7:20PM on Sunday followed by a winners’ ceremony. You can watch the whole tournament live in the stream below. The first ever Midas Mode tournament gets underway this weekend beginning at 11:00AM EST today with Na’Vi vs. OG. The alternative version of Dota gives teams an equal amount of money at the start of a match with which to finance all of their decisions in it, and the tournament will have eight of the world’s top teams show it off. You can watch those games live right here. Elsewhere group stage matches in Perfect World Masters will be getting underway overnight beginning with VG vs. SG in Group A and Team Secret vs. LGD both at 9:00PM EST. You can stream those matches here. Gfinity Elite Series matches start today with Team Infused vs. REason Gaming around 11:15AM EST. The day’s action in that league then wraps up around 1:30PM with EnVyUs Academy vs. Epsilon Esports. You can find those matches here. IEM Oakland will of course also be featuring CS:GO. The first semifinal of that tournament starts at 4:00PM EST today followed by the grand finals at 4:15PM on Sunday. You can stream those matches here. Season 3 of the Pro League culminates in this weekend’s championship in Brazil. The best teams will compete across today and Sunday with $275,000 on the line. Today’s action started at 10:00AM EST with eiNs vs. FONTT and go through into the early evening. Then on Sunday the grand finals will get underway at 4:30PM after the semifinals have wrapped up. You can watch the full tournament here. Today the last chance qualifiers for the Capcom Pro Tour will be going on in Boston. Play starts at 12:00PM EST. Then on Sunday play culminates in the Red Bull Battlegrounds with grand finals late in the day determining the North American SFV champion. You can catch all of those matches here. The Gwent Open #2 shouldn’t be missed either. The Witcher card game will be opening competitive play up to top contenders from the leaderboard in Poland with play having started today around 10:00AM EST. You can watch the matches live here. Bridgetown Ressurection is this weekend with matches to get started around 12:00PM EST. You can catch that tournament live here. This weekend’s Super FamiCon will be featuring a Melee tournament with Hungrybox and other top-tier talent. Doubles pools kick the day off with top eight slated to begin on Sunday at 4:00PM EST. You can watch that event here.